When veterans come to Halifax from out of town for their counselling appointments, they have nowhere to stay. The Society of Atlantic Heroes wants to make their lives a little easier. Last month, the Society purchased a three bedroom apartment in Quinpool Towers in Halifax, but the purchase went unnoticed by local media at the time. Following the model of the Ronald McDonald House, which gives children a place to stay during hospital visits, the apartment will be used to assist veterans and first responders who have to travel over 150 kilometres to Halifax for counselling appointments. Founded in 2013, the Society of Atlantic Heroes’ mandate is to help veterans, RCMP officers and first responders cope with mental illness. It also helps veterans transition into successful civilian careers. Hoffer retired in 2012 as a Navy captain after serving for 35 years. 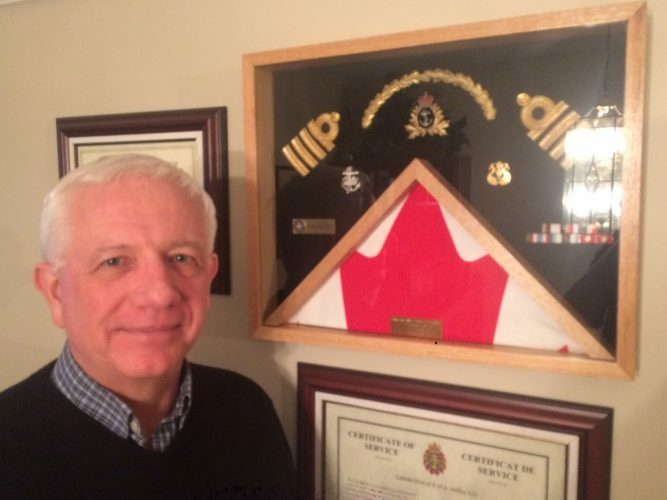 For almost 20 years, Hoffer helped veterans with mental illnesses by himself. He says he was inspired to help veterans with mental illness, including PTSD, after his own experience in 1999, providing humanitarian relief in the rugged mountains and coastal plains of East Timor during clashes between pro and anti-independence groups. Hoffer feels it is important to reduce the financial burden on veterans when they have to come from away for counselling. The apartment has gotten a good reception from Richard Malin from the Centennial 160 Branch (Dartmouth) of the Royal Canadian Legion, an organization that supports veterans and provides services to the communities they are located in. In addition to the apartment, Hoffer has plans to expand the programs to include a bigger facility to serve more clients. He wants a 30 bedroom facility with therapists, a walk-in clinic and conference rooms. He says it would be a good place for counselling and socializing. Despite these plans, Hoffer feels that all parties need to get together to find a permanent solution for PTSD and other mental illnesses among veterans. “It’s time for an adult conversation in a forum to get a national strategy and appropriate funding to help turn this around,” he says, pointing to the recent tragedy involving the Desmond Family in Upper Big Tracadie. The apartment will be furnished and it should be open sometime this year. Correction: Feb.7 , 2017: An earlier version of this story misstated that the Society bought the apartment, when they actually rented it from Killam Properties, the company that owns Quinpool Towers; that they have been given corporate sponsorship to rent the apartment, when they actually are seeking corporate sponsorships to buy and remodel a house for veterans, which is the Society's end goal; and that Ken Hoffer has been helping veterans with mental illness for over 20 years, but he has been helping veterans with mental illness for only the past three years. These errors have since been corrected.